Fruit Arrangements and Gift Baskets. Information Changes in your Order. Duplicate Orders or Multiple Products added by Mistake. Restricted Areas for Delivery in Bogota. Deliveries on Sundays and Holidays. Exact Address for a Successful Delivery. Deliveries on Holidays and Special Occasions. Credit Card and other Currencies. We are aware of the importance of Fresh Flowers, On-time delivery and the best customer experience when giving our products to your loved ones. That's why our ultimate goal is to provide you and those who receive our products, the best possible experience. If you or the recipient are not satisfied with our products or service, please don't hesitate to contact us. We will study your case and will refund or change your product if necessary. We want you and your recepient to have the best customer experience. Complete satisfaction is our goal. Our products include only what is listed in their respective descriptions. Some Vases and other decorative items are NOT included in our products, unless specified in the product's description. Our Flower Arrangements are hand-made and unique. Even though you are buying a specific product, two flower arrangemetns are not identical to each other. 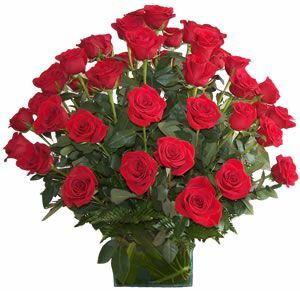 Roses will not be replaced with other floral products without requesting confirmation beforehand. Colors may be replaced by other colors depending on flower availability. Exceptions are made when the client specifically requests one or two color options for their roses. Our goal is to achieve the most identically possible product to the one advertised in the picture and product description. It may occur that our suppliers don't have a specific item or product. This rarely occurs. In these cases we will replace the item or product with an item of equal or higher value than the original. Our goal is to maintain the value and concept of the chosen product. The amount of Items on each Gift Basket and/or Fruit Arrangement will be the same number as listed in the product description. Brands of specific products will be included as described. In case that a specific Brand is not available, we will replace with similar items of the same or higher value than the original advertised item. If the product description doesn't specify a particular brand, we will use recognized, colombian products with their respective safety stamps. Our Products have specific Expiration Dates. Make sure you acknowledge these dates and consume these products accordingly before expiration. Some products or items like meat, hams or fruits may require refrigeration. Make sure you store them accordingly as soon as possible to avoid damaged food. To ensure fresh products, place your orders of Fruit Arrangements or Gift Baskets with at least one business day in advance. We can guarantee the delivery of your gift or Flower Arrangement starting at ONE YEAR in advance of your order placement. It all depends on your chosen delivery date. If you have placed your order(s) several days in advance, we will most likely deliver your order in the Morning Dispatch, unless you have specificied that your order must be delivered in the Afternoon. We DO NOT offer deliveries on a specific, sharp hour. Why? Our Delivery Services usually have several orders to be delivered to multiple addresses around the city, plus other factors like parking, reception of orders and traffic inconveniences makes it difficult for us to deliver your order on a specific hour in the day. We offer Same-day Delivery (Monday-Saturday, no Holidays) IF your order and payment has been placed before 1:00 PM Colombian Time. In these cases, your order will be delivered in the Afternoon. During special holidays and occasions like Valentine's Day, International Women's Day, Mother's Day, etc., we can not guarantee a specific Dispatch of your delivery (Morning or Afternoon) due to the volume of orders to be delivered. Our goal is to deliver your order during the day, as early as possible. Because we have an automated process of printing our cards for each order, your message will be printed exactly as you wrote it when placing your order. Our operators at Floristeria JM have a large volume of messages to print, making it difficult to edit or interrupt the automated process of one message per card. For this reason, unfortunately it is NOT POSSIBLE to separate different messages with different products in ONE order. If you wish to send multiple messages you must place multiple orders. If you want to place an order with products to be delivered to different addresses, you MUST place a different order per address. We DO NOT accept orders with multiple addresses. If you want to buy Flower Arrangements or Gifts to be delivered to different addresses (multiple recipients) you must place different orders: one order per address (recipient). If you mistakenly place an order with multiple addresses, you will have to pay an additional fee for the extra order and delivery. 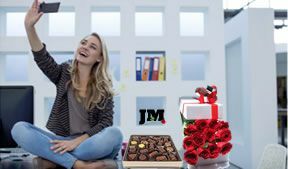 At Floristeria JM we put a lot of time and effort to prepare every order and give our customers the best possible experience, with high-quality products at reasonable prices. In case you want to Cancel an Order, we will refund 100% of your money IF you have notified us of your cancelation with at least 7 business day in advance. If you have sent a cancelation request within 7 days before delivery date, we will retain $20,000 colombian pesos (around $7 USD) and refund the remaining amount of money. If you have requested an order cancelation less than 24 hours of delivery date, we will NOT refund any amount of money. Remember that all refunds will be completed after tax reductions, currency exchange rates and other fees involved in the transaction. Payment Reversal occurs when your money is refunded back at your Credit Card. In these cases, a small penalty of $20,000 is charged (around $7 USD). This fee is charged by PayU, plus other operative costs at Floristeria JM. Payment Reversal may last up to One (1) month or more, depending on your Credit Card and/or Bank. This time frame is explained by the Reversal process: A) Floristería JM files a Payment Reversal request to PayU; B) PayU files a requirement to your credit card (Visa, Mastercard, Diners, Amex); D) The Credit Card files a request to your Bank which will reverse payment in 15 business days, approximately. You may change any information (names, address, etc.) in your order with at least TWO (2) Days in advance of your delivery. If you accidentally have paid twice a single order, we will refund the additional payment, after a fee of $20,000 charged by PayU and other transaction requirements. Remember that you MUST contact us to notify us of your situation. The same situation applies when you have accidentally added more than one product to your order. If your order has shipped and has been delivered, we will NOT offer any refund. Floristeria JM is not responsible of any duplicate orders generated by the customer without any previous notification. Floristería JM reserves its RIGHT to accept or decline deliveries to certain areas in Bogota, Colombia that may be affected by weather (Thunderstorm Emergency), coverage (Beyond 50th Street South or 210 street in the North), distance or security reasons. If you want to order our products for delivery beyond the described area above, please contact us before placing your order. Depending on the urgency or the area in Bogota you want your order to be delivered, we have a variety of options to help you. Remember that if you're sending a Gift or Flower Arrangement to South Bogota (If the address includes the word South or Sur in Spanish) you must choose your delivery area accordingly. Delivery on Sundays or Holidays without extra fee: We offer deliveries on Sundays and Holidays only IF you have placed your order at least ONE (1) business day in advance, before 4:00 pm Colombian time. Deliveries on Weekends are only offered in the Morning Dispatch. (Our Delivery Service rests in the afternoons during weekends). Same Day Delivery: If you wish to have your order delivered the same day you placed your order, make sure placement and payment have been set and approved by 1:00 PM (Colombian Time) and choose the Area in Bogota. We Will Deliver your order in the Afternoon before 8:00 PM. Depending on your chosen Shipment Method (Same Day Delivery or Regular Delivery), the delivery fees will be charged accordingly. If you mistakenly choose a wrong Shipment Method or have chosen Same Day Delivery and payment is NOT approved by 1:00 PM, we can NOT guarantee a delivery on the chosen date. Contact us to find an alternative. If you write the EXACT address for your order delivery, we will guarantee a successful delivery. Any specific or additional information regarding the address (Apartment or Office Number, Reception Area, etc.) will always be helpful for our delivery staff. Please include a Phone Number or Mobile of the Recipient in case we need to confirm an address our delivery staff can't locate. If our Delivery Staff reports that the address is non-existent or mistaken, we will contact you to inquire the correct address. If you don't anwer back to our inquiry, we are NOT responsible for a failed delivery. A Second Delivery attempt will ship after payment has been placed. If the Recipient is not available, we will ask for a relative or family member that will receive the Order. If a relative or family member is not available, we will ask for a friend of the recipient. If a friend is not available, we will ask for a Doorman or Caretaker. If a doorman or caretaker is not available, we will ask for a neighbor that is willing to receive your order. If no one is available to receive the order, we will return the product to Floristeria JM and procede to contact you. If you decide to have a Second Delivery attempt to the same address or a different address, we will charge an extra fee accordingly. Remember that our Delivery Staff can NOT wait more than 15 minutes in the Delivery Address; they usually have other orders to be delivered around the area. If you have specified a Personalized Delivery, this is a Delivery for the Recipient Only, our Delivery Staff will only wait 15 minutes. If the Recipient is not available to receive your order, we will return the Order to Floristeria JM and will schedule a Second Delivery Attempt with your agreement. Remember that Second Delivery Attempts have an extra fee. During Holidays or Special Occasions like Mother's Day, Valentine's Day, International Women's Day or Christmas our orders increase significantly. That's why we organize our Deliveries several days before to ensure the best customer experience. For this reason, Delivery Hours during these Occasions will start earlier in the day (5:00 AM). Due to the amount of orders to be delivered, we DO NOT offer deliveries at specific hours of the day. We guarantee your order will be delivered the specified date anytime during the day before 8:00 PM. When Flowers, Flower Arrangements or perishable goods (fruits, hams, etc.) are delivered in an address originally mistaken by the person placing the order. When the Recipient is not available at the original delivery address and the Order is then mishandled by a third party (Doorman, Reception Staff). When a Second Delivery Attempt is required due to an incorrect address given by the person placing the order. 1. 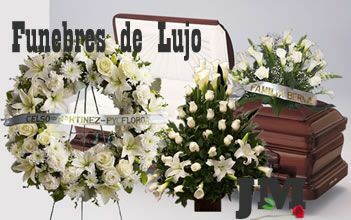 Any Complaint MUST include the Order Number and must be sent to the following e-mail: floristeriajmbogota@gmail.com. We will not accept formal Complaints through other channels. 2. Write in detail the cause of your Complaint. Include High-res Photographs with proper illumination, if possible, of the product or products you are dissatisfied with. Be as thorough as possible in both your description and photographs of your complaint, including specific details. 3. Your Complaint and photographs will be analyzed immeadiately by our Customer & Quality Staff and will reply to your Complaint in less than 24 hours. IMPORTANT: Complaints MUST be filed within the next four (4) days after the Delivery. Complaints made AFTER FOUR DAYS of the delivery WILL NOT be accepted. Why? Mainly because after four days we cannot vouch for our products if the Recipient has not followed the proper care required with Flowers and other perishable goods (Insuficient watering, exposure to contaminated spaces or direct sources of heat, etc.). Remember to follow these Tips and Reccomendations when handling and caring for Flowers: Flower Maintenance. Improper handling of Flowers by the recipient are not covered with our Guarantee. Protection: Floristería JM requires the procedure described above to protect us from unjustified complaints or fradulent claims. If a Fraudulent Claim is identified we WILL inform the authorities according to Law 1273, 2009 on Cyber crime. We are aware of the importance of privacy and will always take all available measures to protect your personal information. All information received by our website is required to complete a successful delivery. This information WILL NOT be sold or distributed to a third party or corporation. Feliz Dia Mamita, LA QUEREMOS MUCHO!!!!!!!!!! !